that you can basically bulk on two and three systems side by side and interface making a three tube Evolution 2500 model. 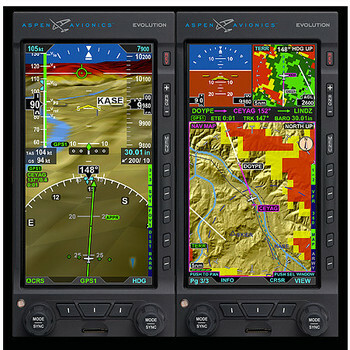 Independent displays with independent gyro accelerometer and magnet sensors aid to the technology offered with the electronic attitude and direction indicator which is also available with Synthetic vision. MCA became a dealer for Aspen in 2012.